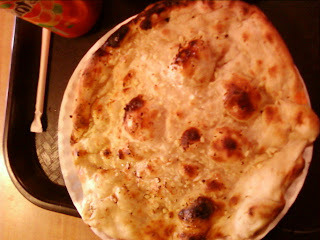 Maryam was right... Indian food it was. I passed by this place the other day, grabbed the menu, and *bookmarked* it in my mind. 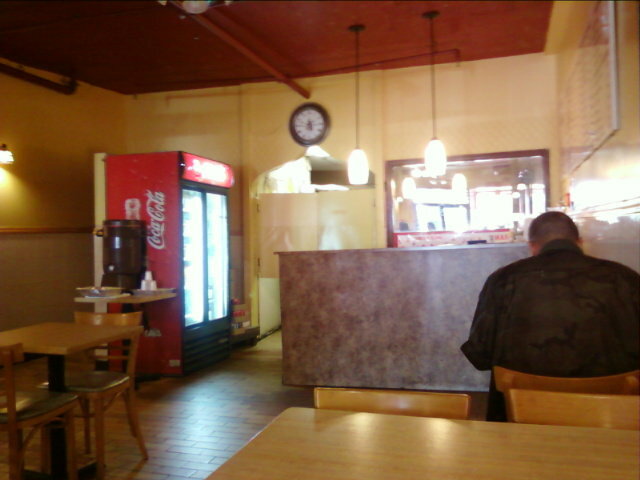 The Sirtaj is a quaint little place on 26th. Not too close to any major anything. A real dingy, I do mean quaint, looking place.. 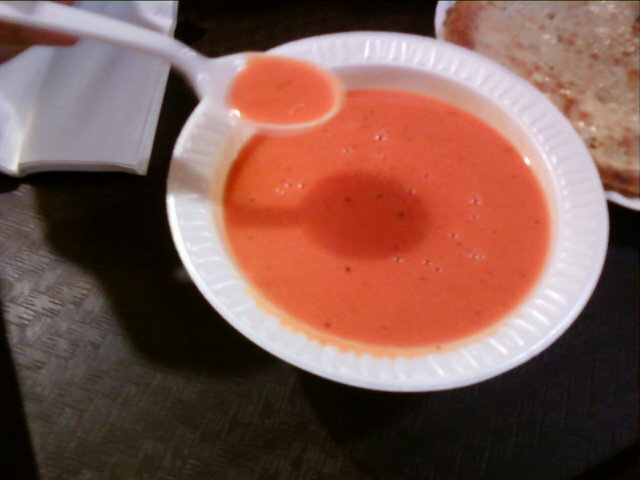 Okay, I didn't eat this all by myself.. I had my other co-worker stand in for my other lunchlady. We'll call her Mission Impossible. 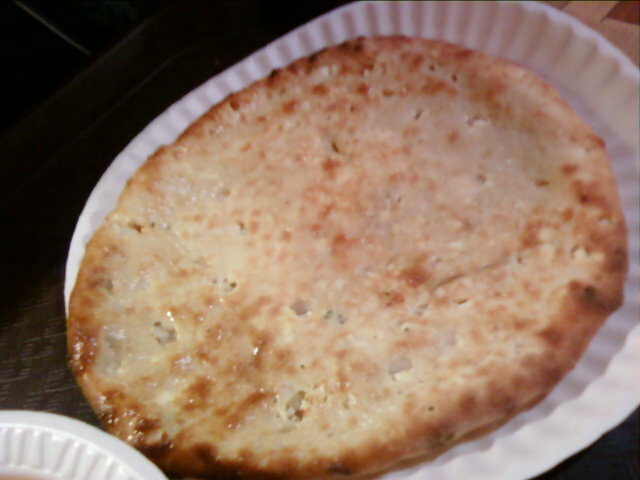 She had the soup and cheese naan for approximately $7. 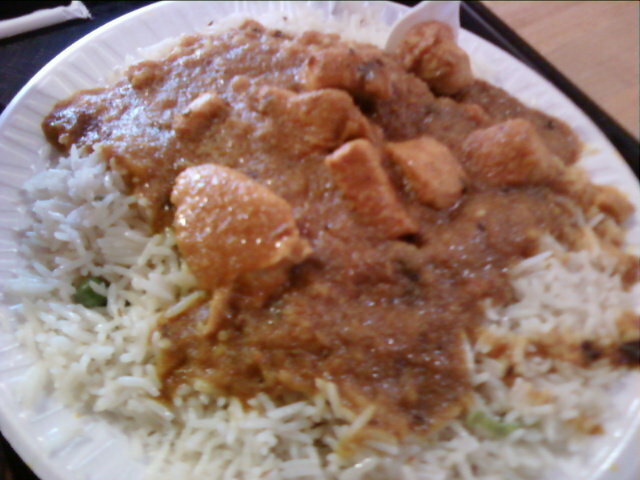 I had the chicken curry that lacked flavor, the garlic naan with the same outcome, and a can of Fanta = $11.18. Maryam- we'll need to go back to the Indian buffet on 7th to make up for this! DAAAAAAAMN. FAILURE! Well they can't all be good. How nice are we to warn people! And, let's try another Indian over by Cicatelli- CURRY IN A HURRY! Oooh, or the one in soho off bway lafayette, def able to do it in an hour. AND! we can stop by Uniqlo or somethin. ok so I definitely got hype when I saw THREE comments. Then it was you. :( We will make a list. Check it twice. And visit them alllllllll. I wonder if you're still boozing it up right now.